Where are the best UK Forex brokers to be found if you need one? Home - What are the best Forex brokers and how to choose the right one? - Who are the best FCA regulated Forex brokers to work with? Who are the best FCA regulated Forex brokers to work with? 1 What do the best UK FX brokers have to offer? 2 What does an FCA regulated Forex broker have different? 4 How do financial regulations in the UK vary from other countries’? 5 Why stick to FCA regulated brokers only? The UK is undoubtedly the Forex capital of the world, commanding a 37% share in the worldwide Forex market. However, the sterling pound itself is ranked fourth according to the percentage share it commands. Nevertheless, it remains to be a significant participant in the world, and all the action here is monitored by the FCA, which is the country’s financial regulator. The institution has been a standout performer in a financial market fraught with scams and fraud, making those on the FCA regulated Forex brokers list trustworthy and reliable. In fact, the FCA has made it very easy and effective to identify and report any scams in the Forex market, and they have been very good at clamping down on these kinds of activities. Despite how effective the FCA maybe, you should still make an effort while looking for an FX broker to work with, and we’re going to show you what you need to consider. What do the best UK FX brokers have to offer? Being the hotspot for the Forex market, there are numerous Forex brokers who operate in the UK. According to psychologists, this state creates a Paradox of Choice because it makes choosing one out of so many difficulties. Unlike choosing the right brand of soap at a supermarket, though, finding the best UK FX broker can be a bit easier if you know where to look. After all, we know that soap brands are just that, brands, with nothing really different about them. With Forex brokers, the good apples stand out because their services are exceptional and vastly different from the rest. The first thing you need to consider is financial regulation. As mentioned before, the Financial Conduct Authority (FCA) is the body in charge of overseeing and regulating, among other financial markets, the Forex market. This is one of the most important factors to consider about a Forex broker and should be the first thing you confirm. To understand why this is so, it’s important to take a closer look at the FCA itself. What does an FCA regulated Forex broker have different? The main reason to have a watchdog over any market is simple – to eliminate fraud. As humans, we all have within us the nature to take shortcuts and step over other people in order to get ahead. That is why we even have the police! When it comes to money, there is even a larger need for supervision, and in the UK, the FCA plays this role. Considering that there have been numerous UK Forex scams in the past, it just goes to prove that there is a real need for supervision. The FCA came about in 2013, taking over from the Financial Services Authority (FSA) that had been the predecessor. The change came in the wake of the financial crisis that rocked the whole world in 2008, and whose ripple effects went on to be felt for years afterward. After the crisis, the UK authorities realized the FSA was ineffective and untrustworthy. Its role was to look out for both customer dissatisfaction and maintain the safety of financial institutions in matters such as competition. As a result, the FSA was not able to handle all its roles effectively, so the FCA was formed so that it would prioritize the clients rather than the institutions. Now that the FCA was a ‘conduct’ authority unlike the FSA that was a ‘service’ authority, it has a lot more reach. Among its various powers include the right to authorize and enforce the law upon its members. At the moment, the FCA claims to oversee 56,000 businesses including some trusted Forex brokers in the UK among others. Within the FCA are Authorization and Supervision divisions to cover the necessary actions needed to keep the Forex market fair. How do the regulators monitor an FCA regulated FX broker? In order to keep the Forex markets fair and in check, the FCA has to perform various functions. Fortunately, the institution has a lot of reaches, which enables it to sufficiently carry out its duty. The first step is carried out by the Authorization division, which ensures every member meets the necessary requirements. These could range anywhere from the company’s operations, staff member qualifications up to the required infrastructure. In this way, all those on the FCA regulated Forex brokers list must be capable of providing quality services to their clients. All these actions are testament to the powers the FCA has over their regulated members, and why it is important to always choose an FCA regulated Forex broker if you want to find the best UK FX brokers. As mentioned at the beginning, there are a lot of companies that pose as the best UK Forex brokers when they are actually not even regulated by the FCA. To help customers avoid such companies, the FCA Register provides a simple resource accessible to everyone listing the names of the top UK Forex brokers. If you find yourself in an uncertain state where you aren’t sure of the legitimacy of a certain Forex broker, this should give you an answer. Furthermore, they also allow customers to file complaints directly on the website, after which action is taken against the broker. One such company to find itself at crossroads with the FCA was FXCM, which was once considered to be the top UK FX broker. In 2014, the FCA realized that FXCM was engaging in asymmetric price slippage. Basically, whenever a client should have made a profit when slippage went their way, FXCM kept the profits. However, they always passed on the losses to clients whose slippage ran into losses. Due to this discovery, FXCM was fined £4 million. In addition, the unfair profits that had been collected, about £6 million was immediately refunded to the clients. This is just an example of how the FCA works to keep the top UK FX brokers in check and protect the clients. 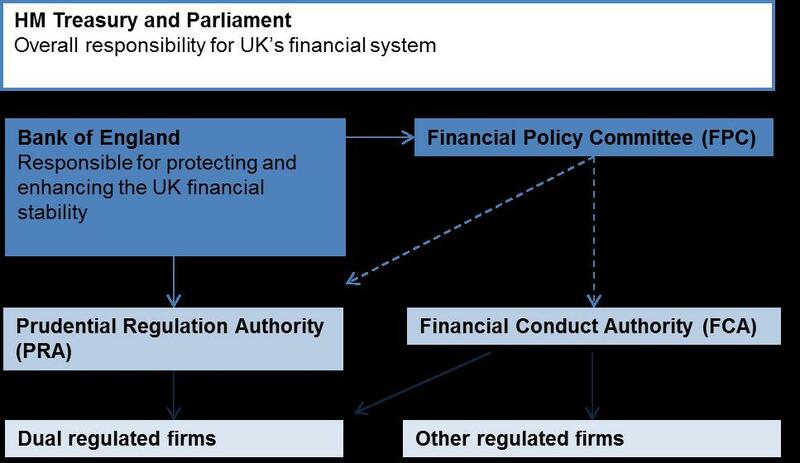 How do financial regulations in the UK vary from other countries’? There are several marked differences between how a top UK Forex broker can operate compared to other regions in the world. Most of the regulations are housed under the MiFID II set of financial regulations, which were set to come into effect on the 3rd of January 2018. These laws had been set forth by the European Securities and Markets Authority (ESMA) even before Brexit became a reality. Regardless of the state between the UK and the EU, the FCA has chosen to adapt these new regulations for the good of the clients. In June, though, ESMA stated that they were taking some time to review the comments from FX brokers. The FCA had also received comments from the best UK Forex broker and decided that it too would delay the implementation of MiFID II. Just weeks ago on the 18th of December, ESMA finally announced that its proposal. The FCA has yet to comment, but we could assume they will follow ESMA’s lead. In these regulations, there are a few changes, but mostly regarding leverage and bonuses. When it comes to leverage, the FCA will limit the amount of leverage offered to 30x, meaning there will only be a 30:1 leverage available. This might even be lowered further to 5x on riskier products like cryptocurrencies and those offered by the best UK CFD brokers. In regard to bonuses, all forms of promotional bonuses would be scrapped off completely to protect unsuspecting amateur traders. Finally, a negative balance protection requirement would be made absolutely necessary to protect clients from losing more than they invested. So far, the largest Forex brokers in the UK don’t seem bothered by the changes because they usually cater to high net-worth clients. For them, a 30x leverage is more than enough, so they wouldn’t have a reason to complain. As for the majority of FCA cryptocurrency brokers, these laws could be a threat to their businesses. They argue that the elimination of incentives and a tight leverage cap could push away potential traders. They may even seek offshore Forex brokers to work with if they find the trading conditions a bit more accommodating. So far, the final decision has not been made by either the FCA or ESMA, so right now the laws regulating Forex markets in the UK are still the same as they were in the past. The final decision is likely to be made sometime in 2018. Why stick to FCA regulated brokers only? Of course, there are always going to be alternatives beyond the reach of the FCA, and some of them may be indeed tempting. If you ever find yourself being conflicted in this manner, just remember what the FCA can do for you and the doubts will fade away. That is why UK Forex brokers reviews are always overwhelmingly positive compared to those in other regions. For your own funds’ security, it is best to keep working with those brokers regulated by the FCA. To narrow down your search to the best of them all, just compare their individual offerings based on your preferences. These could range from the choice of trading platform, the number of currency pairs available for trade, the account’s base currency, payment methods, etc. Choosing between these should be a personal choice that no one can help you make since it is a subjective matter, rather than an objective one.